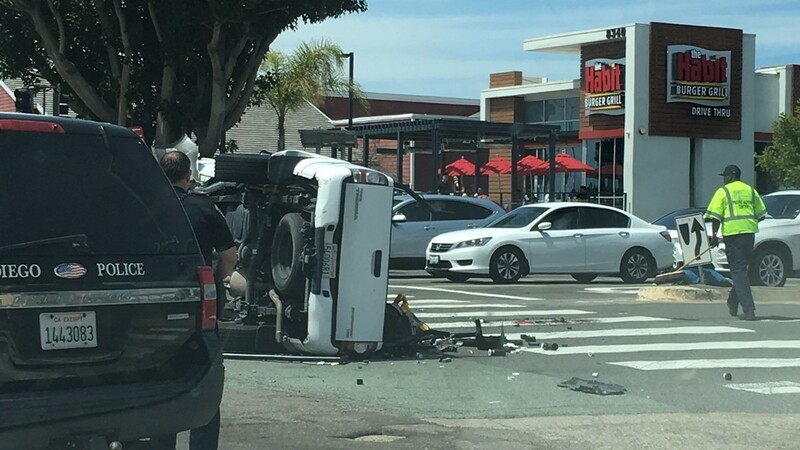 A car overturned around noon near the intersection of Mira Mesa Boulevard and Camino Ruiz. 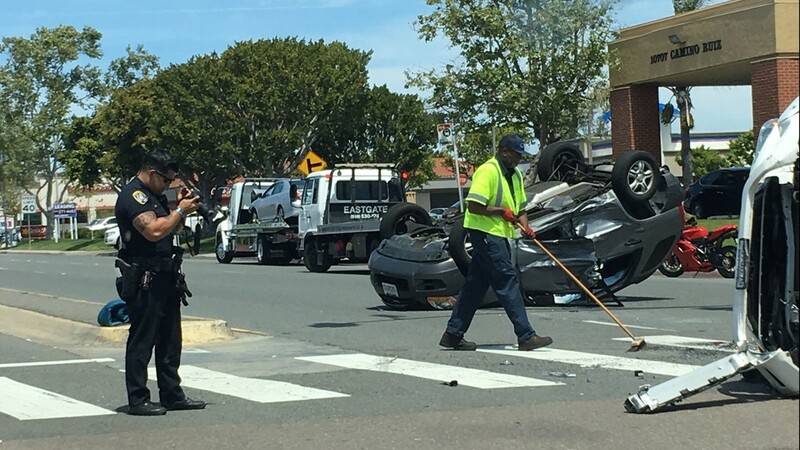 SAN DIEGO — Multiple people were injured in a three-car crash at a busy Mira Mesa intersection Sunday, according to officials. 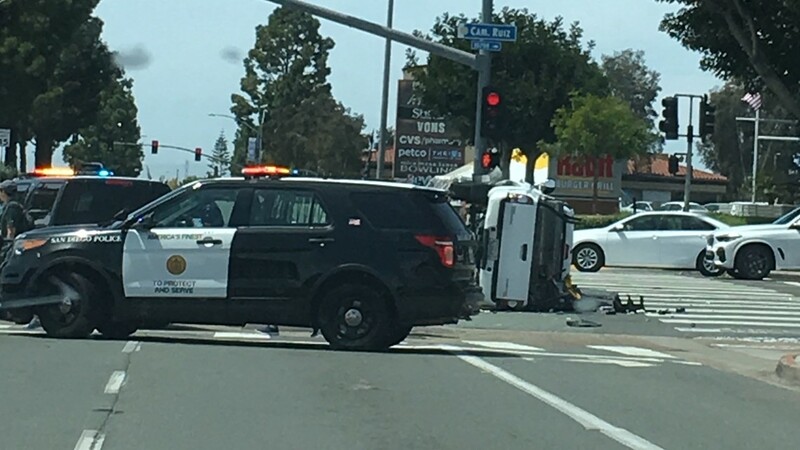 San Diego Police said that according to preliminary information it appeared that a truck travelling on Mira Mesa Boulevard pulled out in front of a Kia traveling on Camino Ruiz. 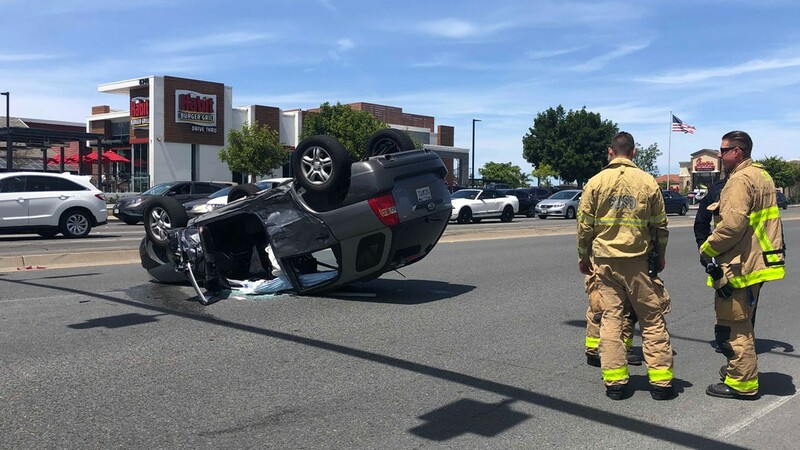 The vehicles collided causing the Kia to roll onto its roof and the truck flipped onto its side. A Camry also hit the truck. 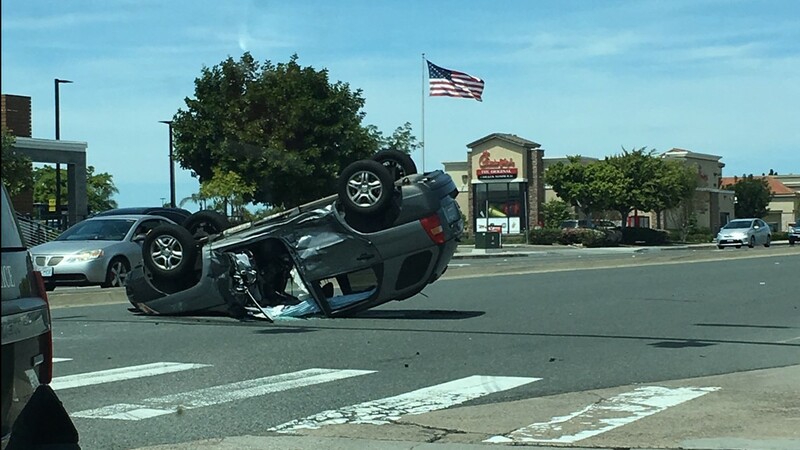 All drivers were taken to the hospital with minor injuries. Police were continuing their investigation into the crash.